Trendease covers over 100 design events a year; currently 25,000 images in an excess of 900 reports keep 127 countries in the know! A new year has just begun. A fresh era of inspiration is born! Learn how trends can drive and strengthen your business. Discover thousands of designs that can help pave your way to success! In this month’s issue of Trendease be up to date on the most innovative materials, textiles, furnishings, decorative accessories, lighting, tabletop, eco-chic designs, fashion accessories and jewelry, new talent, and more! 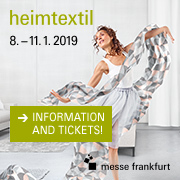 Trendease is happy to be the exclusive online media partner for Heimtextil; check us out later this month for coverage you cannot find elsewhere! Get inspired with the January edition! Heimtextil, Jan. 9-12, Forum 0-A03; Trendease Tidbits daily 2pm & 4pm. Interiors Birmingham, Jan. 20-23, Collection Hall 8-E23; stop by for a special surprise! Maison&Objet, Jan. 25-29, Scènes d'Intérieur, Hall 5b in Village de la Presse. Multiple European Cities — January’s edition is chock full of cutting-edge designs from the top movers and shakers in the industry. This gallery of images showcases the latest of the future’s flatware. See gold and silver colored metal brooches that morph into delicate cutlery, experience east meeting west, or learn a clever way to merchandise the newest linen collection by upholstering the flatware on display. It’s all here; dig in! Frankfurt — It’s time to be visionary: ultramodern, structural, pure, metallic, pared down, high quality, minimal, shiny, sensual. In this gallery learn the inspirations, buzzwords and catchphrases that correspond to this trend in addition to its fabrics and materials combined with a forward-thinking color story. Explore the displays and view new textiles with Trendease, Heimtextil’s exclusive online media partner for trends. Frankfurt — It’s time to be original: eco design, experimental, hand-made, whimsical, unique, ethno-futuristic, fun recycling, natural/technical, intellectual, innovative imitation of nature, bionic, high class, top quality. In this gallery learn the inspirations, buzzwords and catchphrases that correspond to this trend in addition to its fabrics and materials combined with a timely color story. Explore the displays and view new textiles with Trendease, Heimtextil’s exclusive online media partner for trends. Frankfurt — It’s time to be magical: luxurious, elegant, metropolis, futuristic glam, sparkling, shimmering and shining, perfectionist, decorative, mysterious, feminine, new aesthetic. In this gallery learn the inspirations, buzzwords and catchphrases that correspond to this trend in addition to its fabrics and materials combined with a rich color story. Explore the displays and view new textiles with Trendease, Heimtextil’s exclusive online media partner for trends. Frankfurt — It’s time to be vibrant: humor, plastic, blow-up, graphic, artificial, psychedelic, fast. sporty, supersmile. In this gallery learn the inspirations, buzzwords and catchphrases that correspond to this trend in addition to its fabrics and materials combined with a lively color story. Explore the displays and view new textiles with Trendease, Heimtextil’s exclusive online media partner for trends. Worldwide — Imagine a world where firefighters can walk right into a burning building or where inflatable furniture can be shipped to disaster areas, when people have lost everything. Imagine…curtains that will tell you the weather before opening them, a cyclist’s clothing that can light up the road ahead, or baby blankets that can change color to reflect a child’s temperature. These are just a few of the fantastic visions of a world with future fabrics which can be discovered within this feature. Worldwide — In contemporary consumer society, where people cannot leave their homes without their latest cell phones, cameras, gadgets, make-up and everything else they find essential to their everyday lives, the role of the bag is taking a more prominent stand than ever before. And with this idea, looking to adapt to the many diverse new human requirements, comes the increasing versatility of the bag. From couture fashions to moveable furniture, this feature is a must read, must view. Multiple European Cities — In a society where the mass market rules and product standardization is a common term, it is only natural that artists are looking to inspire with new ideas, through innovative creations for every product range. The result in this case is a variety of unique jewelry pieces inspired from every growing issue in today’s society: from the ever prominent eco-chic, “think green” movement, to the considerable effects of advertisements on consumers. Worldwide — When one thinks of wood, the first things that come to mind are probably not crystal, magnets, sunbursts, skiers, Eskimos, fishermen, swimmers, or astronauts, correct? That is what makes this trend of wonder wood so inspiring; wood is being used in fun, creative ways. In this gallery the Trendease Team presents the latest innovations in décor, gift, lighting, and furniture. Worldwide — Popular patterns are frequently requested when the topics of a trend presentation are addressed. Without a doubt patterns and motifs are important characteristics in design; however, there are other elements to consider that may be just as strong as any graphic or repeat. This gallery looks at a trend that has little to do with pattern, and much to do about depth of style. Multiple European Cities — Eating has just gotten more exciting! With all of the new designs for the table top decorating the table has never been more fun. There is something for everyone, something contemporary, something traditional, and a plethora of design twists in between. 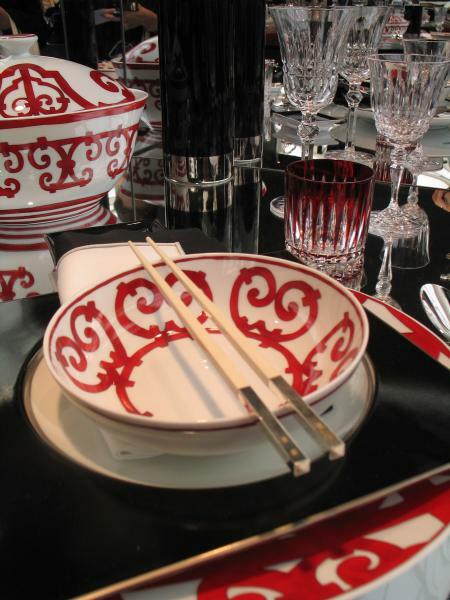 This gallery takes a look at what is hot on the table from dishes to linens. Shanghai — Where is new talent born? How does new talent gain the expertise to carry on generations of tradition while still experimenting and maintaining a personal style? One way is by working with the masters and studying their skills while learning with hands on experience. Professor Lin sought the apprenticeship of students from Tongji University to help him create the masterpieces that make up a collection of 56 ethnics groups brought together by a vision of art and globalization. Vaals & Heindenheim — Our societies consume and dispose of items at an excessive rate. More and more we are seeing that designers are looking to adapt old materials or products to fill new uses rather than fill land. Smile Plastics uses everything from old mobile phones to Wellington boots in its plastic sheeting and the Green Bottle Unit reuses glass bottles to create stunning tiles. Now forward thinkers are revitalizing the military tent. Multiple European Cities — This week’s newsletter embraces fun and funky furniture that goes beyond that statement to encompass something multifunctional and contains an ideal which adapts to our shifting lifestyles. Subscribers can see all of the products mentioned in the newsletter and more within this week’s collection of images, including the latest furniture from letter-shaped case goods to free-standing attics. Frankfurt — This week’s gallery is an up close look at Heimtextil’s trend rooms presented by the Deco Team. The winter trade show madness has begun as people from around the globe utilize planes, trains, and automobiles to jet to and fro. If you happen to be stationed in your office, factory, or design studio during this rush, no worries, the Trendease Team has got it covered for you. If you happen to be at Heimtextil please stop by our booth in the Trend Forum, booth A03 to say hello to some members of the Trendease Team! Frankfurt — And now, what many of you have been waiting for!!! The newly formed Heimtextil Trendtable consisted of five design agencies this year, transitioning smoothly from the ten-year reign of Gunar Frank. This last week at Heimtextil the trend forum “It’s time to be…” was the center of buzz. As the exclusive online media partner of the event, Trendease is pleased to bring you a thorough recap of the trends presented for 2008/09. Birmingham — There were quite a few Trendease Twister champions at our stand in Interiors Birmingham, the exhibition which wrapped up last night. Other inspiring events included a debate on the best British design where Jennifer championed the iMac and Halo launched the bespoke Spice Girls chairs. 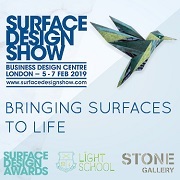 While judging for the best of show in the categories of lighting, bedding, and accessories, Jennifer came across some inspiring innovations also shared in this week’s newsletter. Worldwide — Wrapping up this week was Maison&Objet where the world-renowned Zaha Hadid was spotlighted as the designer du jour. She is a prime example of how creation, inspiration and design know no boundaries. Her portfolio boasts landmarks from hotels and office buildings to chandeliers, sofas, tabletop, and even handbags, all of which are represented in this gallery and video interview.